My appointment with Sega and Atlus at E3 probably could have gone a lot better. Nothing was really planned for me, and as such, my handlers for the session didn’t have everything in place for me to try out their games properly. There were no headphones, and while I was able to power through two songs in Persona 5: Dancing Star Night, it wouldn’t be right for me to comment on them here. I couldn't hear a goddamn thing from the puny television speakers. I also didn’t get much time with Shining Resonance Refrain, though I did get to meet one of the creators of the original game as he was in my demo office playing it because there was nobody around who spoke Japanese to tell him we needed the room. I felt bad about having him leave because playing Refrain was a trip down memory lane for him. Most of my hour was spent with Valkyria Chronicles 4, the latest entry in the celebrated but sales-challenged tactical RPG series from Sega. Currently available in Japan for the PlayStation 4, the game will launch out west on September 25 for PS4, Xbox One, PC, and Nintendo Switch. The latter version is the one I asked to test out and thankfully, the team had a dev kit Switch on-hand to show it to me. I was told Sega is expecting this title to be its big release for the year; strange given its history and the fact the company is releasing a new Sonic racing title this fall. I don’t know if this game will do for the franchise what the previous entries couldn’t, all I know is I can’t wait to play the full game. My demo consists mostly of the first mission of the game, i.e. the tutorial. It walks me through the basic units I’ll be working with in the final game and introduces a few strategies for taking out opposing forces with finesse. I take control of a tank, a sniper, and a gunner as I wipe my enemies from the beautiful battleground. Chronicles 4 looks stunning on Switch and, when compared side-by-side with the PlayStation 4 version, holds up pretty damn well. This parity is possible because of the art direction chosen for the game. 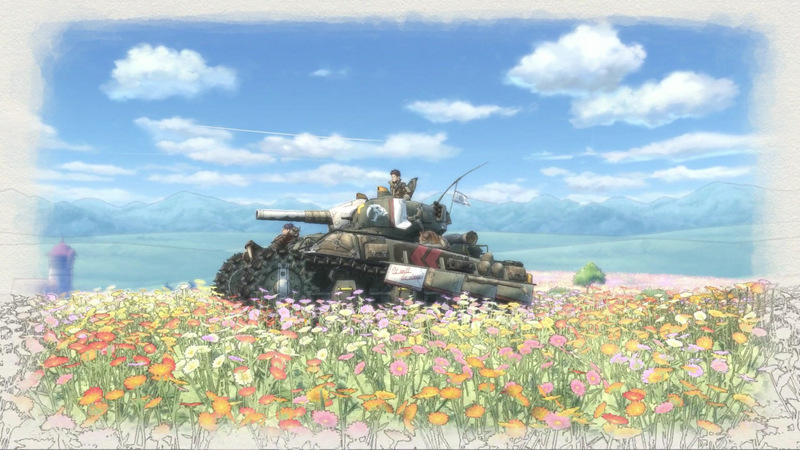 Valkyria Chronicles 4 employs a colored pencil aesthetic, bringing the game to life like a sketch artist doing impressionist drawings at a park. It looks as good in action as it does in any trailer or screenshot, and it’s the little touches that really make it shine. The picture doesn’t fill the screen entirely but rather fades in ever so slightly to give the appearance the game is playing out on a piece of parchment. 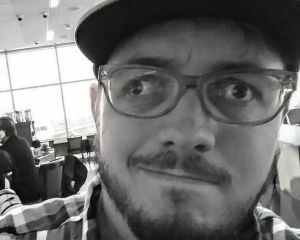 When I swivel the camera around, I notice a filter on the picture that gives fleeting glances pencil strokes, solidifying the game’s grasp of this visual concept. If I had a larger vocabulary I could continue gushing about my love for the look of this game, but I imagine some people want me to talk about how it plays. The Switch build, from what I am told, is a week old at the time of my hands-on session. Another build was sent earlier in the day but wasn’t available to play. Doesn’t really matter though because this build holds up splendidly. The transition from overhead map to moving my troops on the ground is seamless, and while the zoom of the sniper could be a bit more clear on the Switch screen, it doesn’t stop me from landing those headshots. I have, I believe, three copies of Valkyria Chronicles sitting unplayed on my various devices right now (thank you, Humble Bundle). When I bought the first of those copies, I was content to just add the game to my backlog. After spending just 20 minutes with Valkyria Chronicles 4, that game has moved to the top of my list.